The Fresh Prince of Las Gidi - Teezee has unveiled the latest visual to his single ‘Crooked Love Story’. 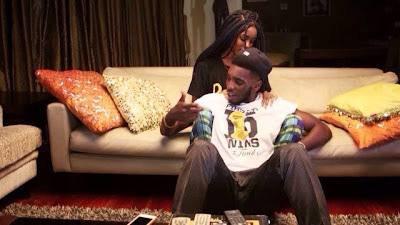 The DRB LasGidi member and his love interest portray the lyrics to the song extremely well in the Wale Davies directed clip. Ghanaian singer Efya adds her neo-soul touch to the hook of the song, and brings her own flare to the ‘Crooked Love Story’ video. Teezee bears forth a relatable and captivating story line from the opening scenes to the ending of the video. With a very much twisted ending - ‘Crooked Love Story’ is by far one of the best music videos and songs from Teezee.